Enhanced cleaning power for UV printing; viscosity adapted for jet nozzle washing units for an optimum spray pattern. (Flash point > 80 Â° C). We recommend setting the washing system to optimise the cleaning cycle and Bottcherin Offset-UV performance. In case of manual cleaning, use Bottcherin Offset-UV undiluted. Apply the wash to the blanket or roller, then finally rinse with water until all ink and cleaning agent residues have been removed. Follow the automatic washing system manufacturersâ€™ operating instructions. If manual cleaning with a hand rag, wear protective gloves during application, follow all press safety instructions. 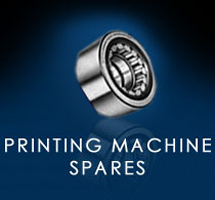 Bottcherin Offset-UV is approved by the manufacturers Heidelberg and MAN for use in their machines.